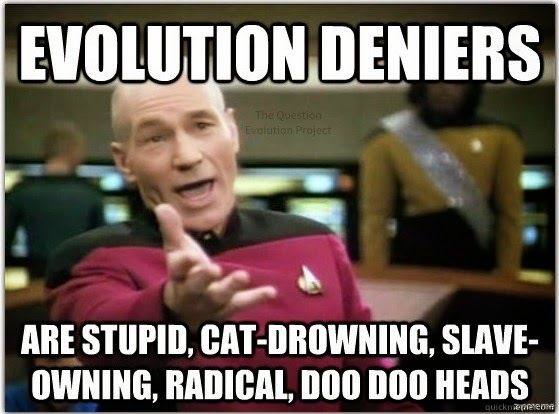 To see Darwin's Cheerleaders resorting to logical fallacies to defend their errant worldview is commonplace. But to see several logical fallacies used in an attempt to influence political opinion and promote evolutionism is rather painful. And humorous. Here, we can see poisoning the well, name calling, prejudicial conjecture and more. You should find the rest of "Whitney Tilson’s Diatribe Explains Why Science (Still) Doesn’t Matter" interesting.